I quote in full from a discussion forum on CanalWorld. Orchid fans, beware. This will make your blood boil. 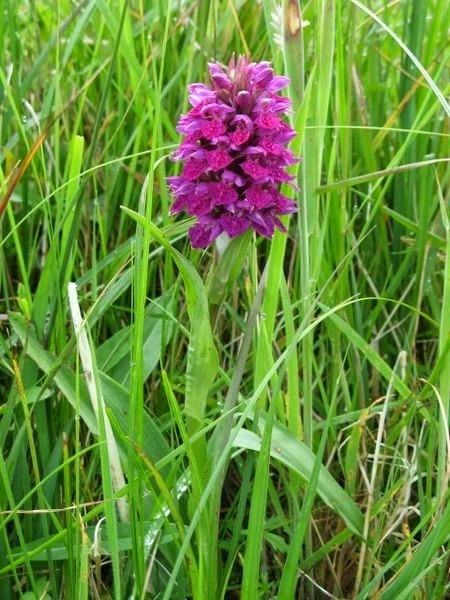 ‘One of the volunteers at Hillmorton Locks found what he thought were orchids growing on the lock island. ‘The CRT (Canal and River Trust) were asked to find an expert in case they were rare and protected. Another volunteer identified them as Northern Marsh Orchids. As all orchids are protected by law, red and white tape was stretched across to protect them from the grass cutters. Other volunteers took professional photos. CRT were informed again. They informed the grass-cutting contractor. ‘This morning all available volunteers were there bright and early to protect the orchids until an expert arrived to say if they were common or rare. Then the grass-cutters arrived and with people screaming at the person in charge of the strimmer to stop, he calmly walked onto the island, strimmed right through the tape and started on the orchids until physically restrained. CRT have been informed again and we still await an expert to tell us the value of what has just been destroyed and how to protect the remainder.